WHEN YASUSHI WATANABE bought a cartoon film decades ago as a high school student in the Japanese city of Osaka, he had no idea he was purchasing animation history. But the modest reel he bought for just 500 yen (€3.86 in today’s money) has been revealed as a rare lost cartoon produced by Walt Disney featuring a character that led to the creation of Mickey Mouse. The discovery was reported by Japan’s Asahi Shimbun daily, which Watanabe contacted after reading a book about the history of “Oswald the Lucky Rabbit”, the character Disney created in the 1920s. 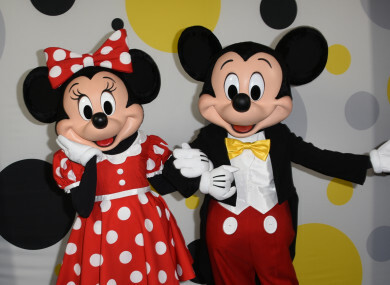 While Disney created the character, complete with oversized ears and a button nose, he lost the rights to another company, prompting him to develop a new cartoon figure: Mickey Mouse. The book said seven of the 26 short films featuring Oswald that Walt Disney produced were missing, and Watanabe remembered his childhood reel. It was labelled in Japanese Mickey Manga Spide – Mickey Cartoon Speedy in English – and featured a dog policeman on a motorbike chasing Oswald and his girlfriend in a car. As the trio speed around valleys and along roads, the characters and the vehicles stretched and shrank, the Asahi reported, using a technique that later featured commonly in Disney works. The newspaper contacted the author of the book and the Walt Disney Archives and confirmed that the reel was indeed one of the missing films, originally titled Neck ‘n’ Neck. “We’re absolutely delighted to learn that a copy of the lost film exists,” Becky Cline, director of the archives, told the newspaper. “As I’ve been a Disney fan for many years, I’m happy I was able to play a role in the discovery,” added Watanabe, an anime history researcher who is now 84. His childhood purchase is now housed at the Kobe Planet Film Archive, and another film showing 50 seconds of the same cartoon has also been unearthed at the Toy Film Museum in Kyoto, the newspaper said. In 2014, Norway’s National Library announced it had discovered a copy of a Walt Disney cartoon featuring Oswald, which had been thought lost. The cartoon, titled Empty Socks, was the first Christmas film made by the US entertainment giant and was discovered during an inventory at the library’s facility near the Arctic Circle. A year later, another short film featuring Oswald was uncovered in Britain and screened for the first time in 87 years. Email “Lost Disney film showing Mickey Mouse's predecessor found in Japan”. Feedback on “Lost Disney film showing Mickey Mouse's predecessor found in Japan”.